Ball State University is pleased to be an alliance member of IN LSAMP. 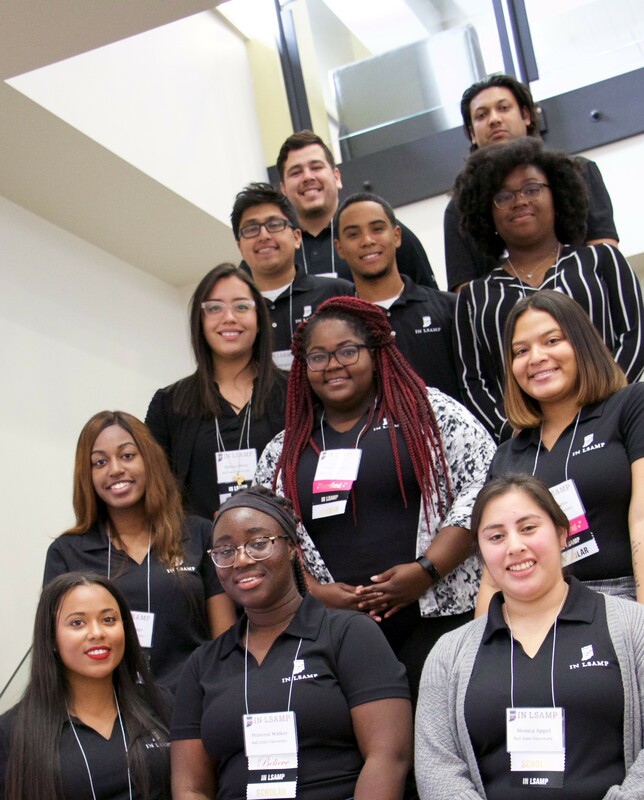 Since the award inception in 2016, we have been committed to the goal of doubling the number of STEM Bachelor’s degrees over the next five years earned by historically underrepresented students. To achieve the increase in the number of graduating minority STEM students, retention issues are addressed by encouraging student participation in math placement and online review support, summer bridge programs, freshman learning communities, peer mentoring, faculty mentored research, and conference presentations. Incoming freshmen are encouraged to participate in the Summer Bridge Power into Math Program at no cost to them so that they may be placed in the proper math course right away. They will then be invited to participate in our new peer mentoring program, Career Pathways, which will be held the first 10 weeks of each fall term. Mentors will participate in recruiting freshmen, meet with them on a weekly basis in the fall, be paid hourly for their mentoring duties, and be eligible for further LSAMP grant opportunities, such as being an LSAMP Research Scholar. Financial support for LSAMP Research Scholars is substantial, and we hope to attract, with faculty recommendations, the very best students.